Head of Cairo opposition platform delegation Firas Khalidi stated that the new round of Syrian peace talks in Geneva could be held on September 7. UN Special Envoy for Syria Staffan de Mistura stated that the next round of the Geneva talks on Syria may take place in early September. Deputy head of Russia's State Duma Committee on Foreign Affairs Alexei Chepa stated that Qatar's initiative to contribute to Syrian conflict resolution deserves praise. UN deputy spokesman Farhan Haq said that despite recent talks on Syria have not resulted in any breakthrough agreements the negotiations should continue in the same manner. 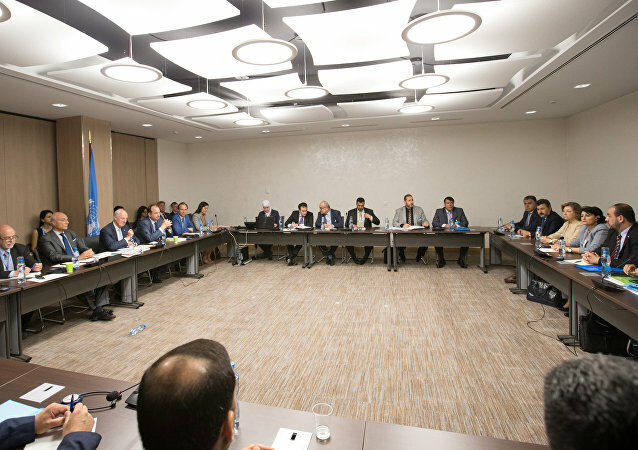 All groups of the Syrian opposition at the Geneva talks are seriously determined to form a single delegation, according to the head of the Moscow platform's delegation, Mohannad Dlykan. Bashar Jaafari, the head of the Damascus delegation, stated that the Damascus delegation at the intra-Syria talks will welcome any awareness in western capitals on the issue of fighting terrorism in Syria seriously. Head of the delegation of Cairo opposition platform Firas Khalidi said that UN Special Envoy for Syria Staffan de Mistura proposed to hold the next round of the intra-Syrian talks in mid-June. 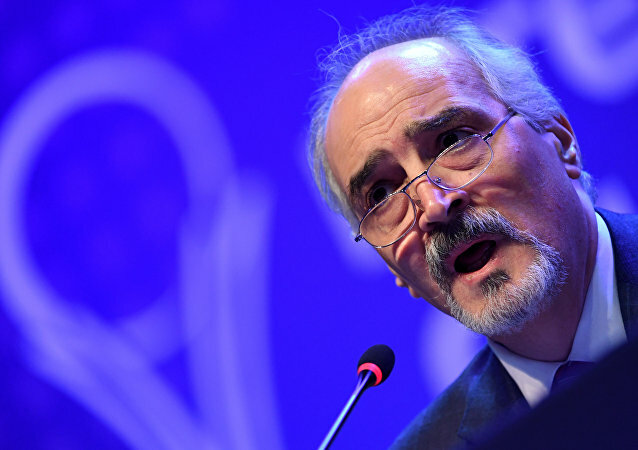 Bashar Jaafari, the head of the Syrian government delegation to the intra-Syrian talks at Geneva, said that no proposals on the country's constitution were brought forward during the current round of the negotiations. UN Special Envoy for Syria Staffan de Mistura will try to "hit iron while it is hot," as he put it himself, convoking a new round of intra-Syrian negotiations in Geneva after the momentum was created at the recent meeting on Syria in Astana. 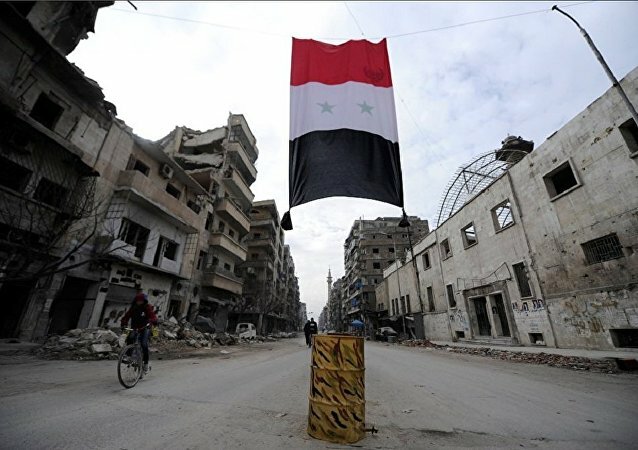 The implementation of the de-escalation zones deal in Syria could have a positive effect on at least 2.6 million people, the UN special envoy for the country said. 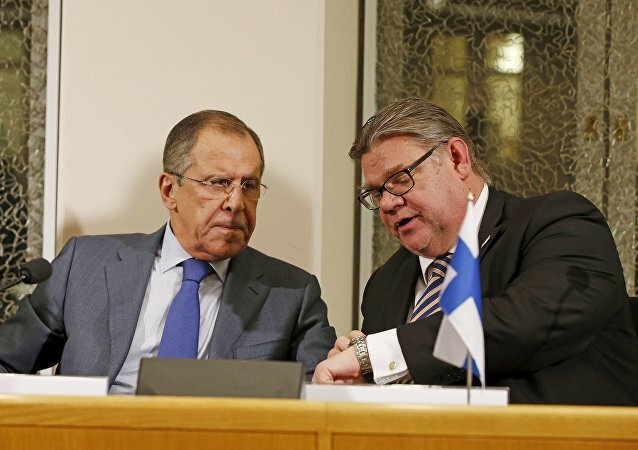 The formation of safe zones in Syria should serve as a key step toward consolidating the nationwide ceasefire, Russian Foreign Minister Sergei Lavrov said Thursday after talks with his Finnish counterpart Timo Soini. 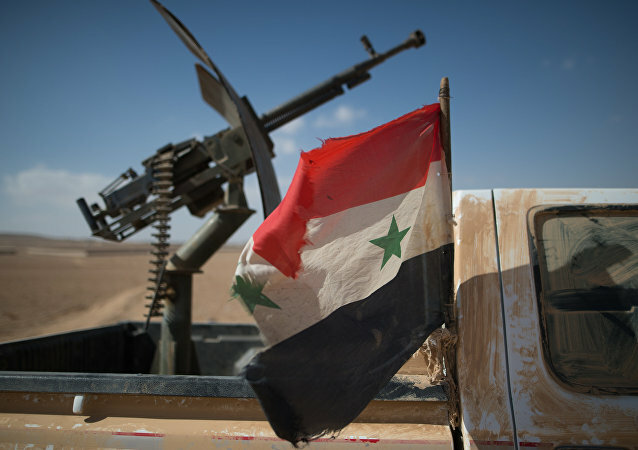 Russian adviser to UN Special Envoy for Syria Staffan de Mistura Vitaly Naumkin said that representatives of the Syrian opposition High Negotiations Committee (HNC) may participate in the talks on Syria in Astana if Turkey, Qatar or Saudi Arabia put pressure on the HNC. Tarek Ahmad, a member of the Syrian Social Nationalist Party (SSNP), which is a part of the Damascus platform of Syrian opposition, urged parties to the Syrian conflict to establish a procedure for armed groups to join efforts of the international community to end the six-year conflict in Syria. One of the delegations at the ongoing intra-Syrian talks in Geneva has received a so-called "Naumkin's paper" describing political principles of the Syrian settlement, and has already replied to this paper, a source told Sputnik. The four baskets at the intra-Syrian talks, given by UN Special Envoy for Syria Staffan de Mistura to all parties of negotiations, are governance and political transition, constitution, elections and counterterrorism, according to a source in opposition. Astana conference were the talks to focus just on ceasefire and humanitarian issues and prisoners, but Syrian authorities did not release any prisoners, no humanitarian issues changed in the besieged areas, so Astana 1 and Astana 2 did not give anything, according to spokesman for the Southern Front Issam Rais. The Damascus delegation to the Geneva talks on Syrian reconciliation slammed London and Paris for supporting terrorism and praised Moscow for its role in the peace process.